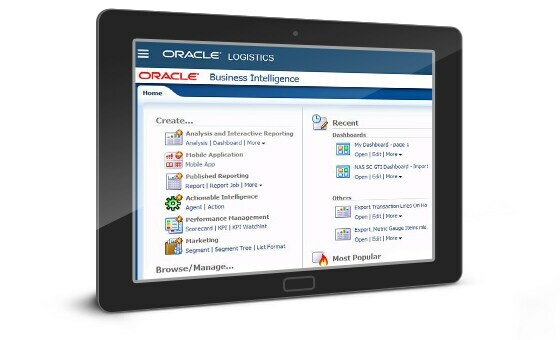 Optimize and streamline business processes related to cross-border trade. 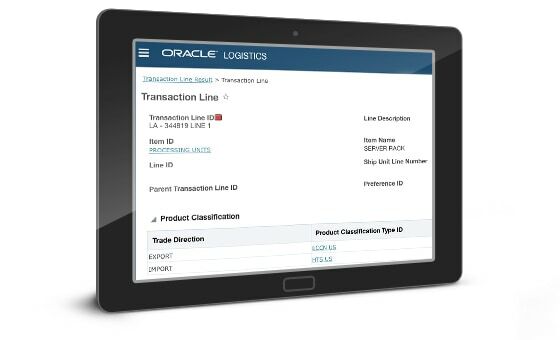 Oracle’s unique global compliance solutions enable companies of all sizes to centrally manage their global trade operations. 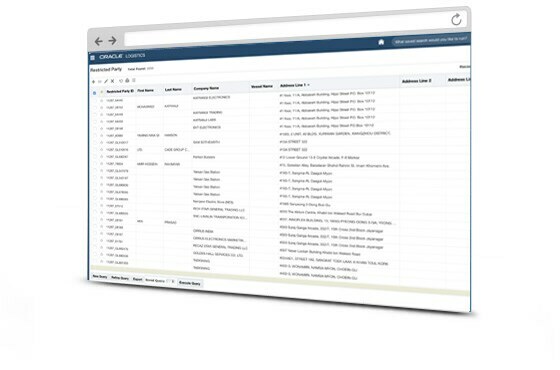 By layering trade data and milestones over the physical flow of goods, you gain unparalleled visibility and control over both orders and shipments to ensure adherence to global trade regulations. Ensure compliance by properly screening transactions against government lists for both imports and exports. Manage the legal, regulatory, and corporate complexities of cross-border transactions. 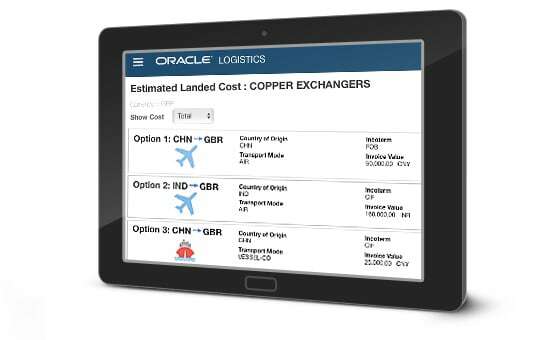 Manage global customs filings and communicate accurately with authorities and trading partners on all cross-border transactions. 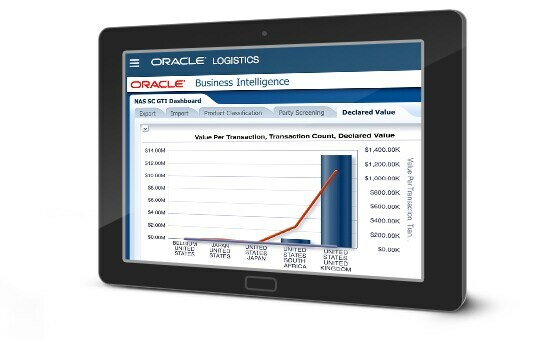 Monitor key performance indicators and directly transition from analysis to action. Gain financial visibility into your extended supply chain costs, including transportation and handling fees, insurance, duties, and taxes.